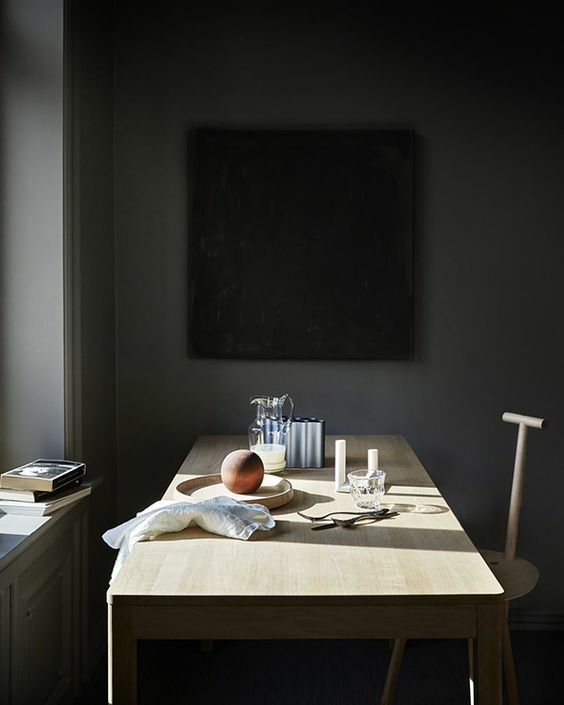 The beautiful morning light in this photo reminds me of an old Dutch still life. 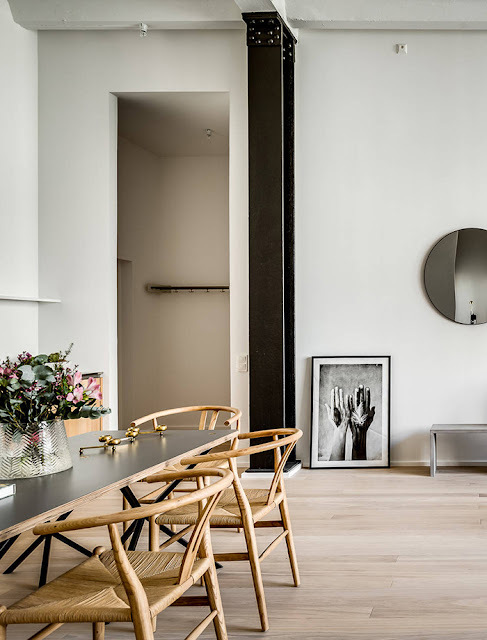 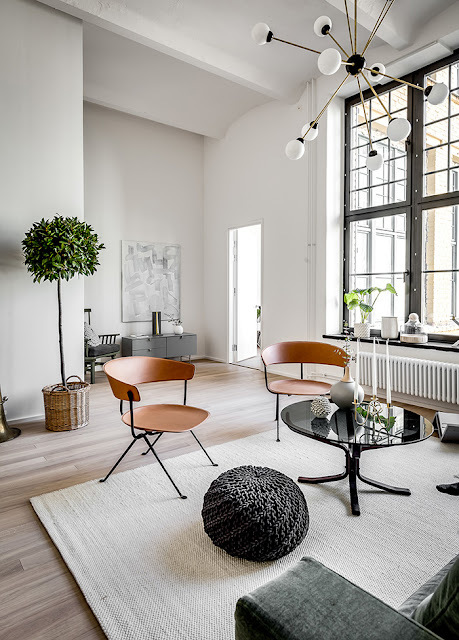 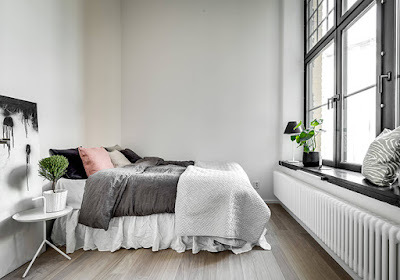 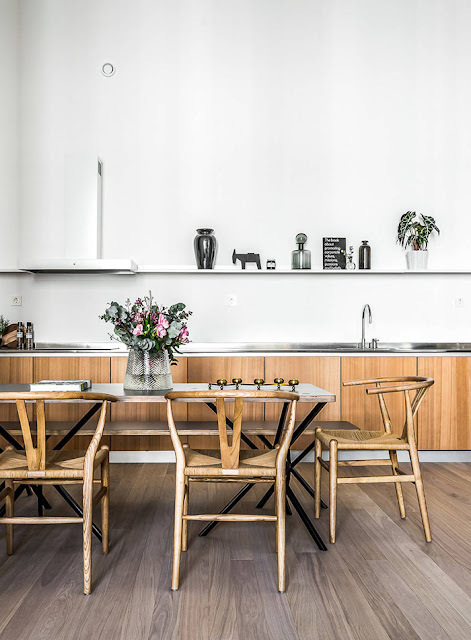 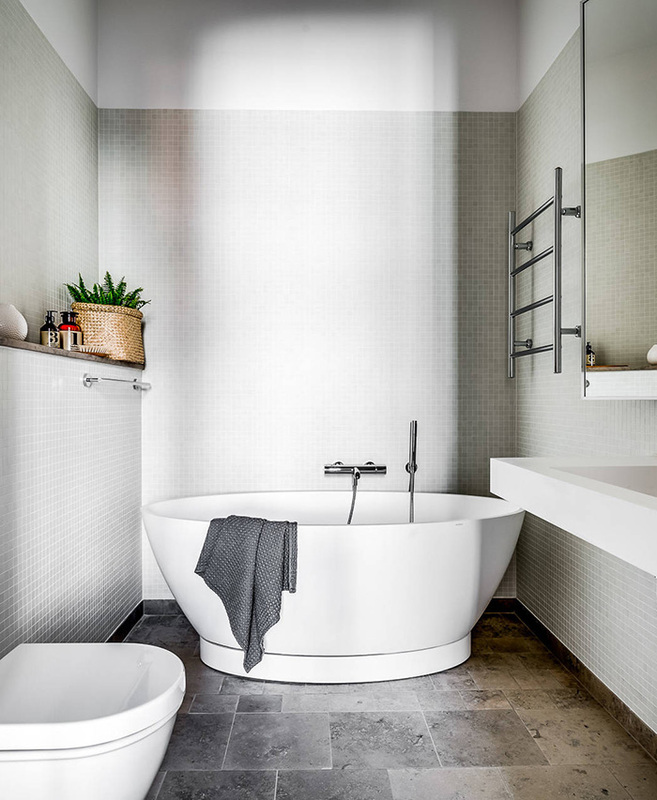 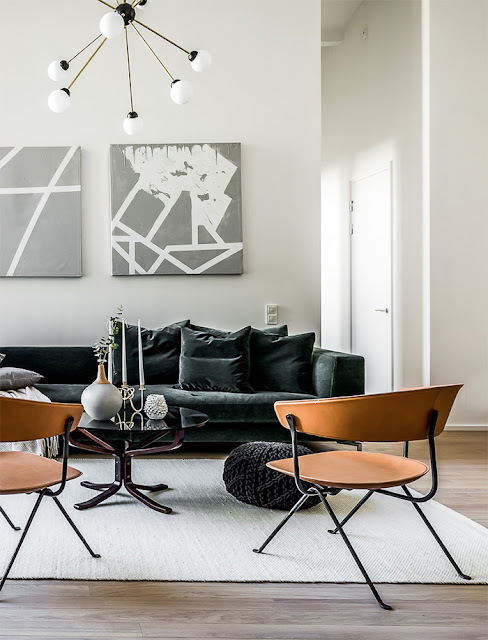 Scandinavian style at its best in this lovely downtown Stockholm apartment, located in what was once a brewery. 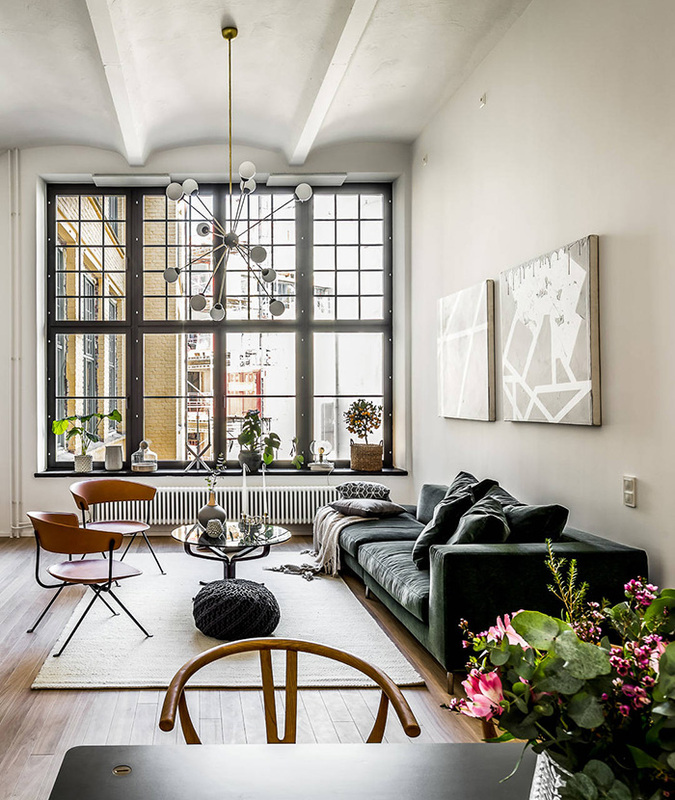 Love the original factory windows—and that interesting ceiling, too.